Whitney Vickers | Greene County News Wright State University is celebrating its homecoming week. 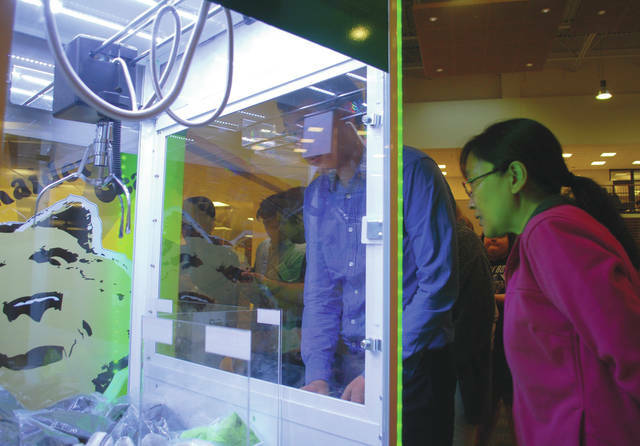 On Oct. 3-4, vending and claw machines were available for students in which they had to use a certain hashtag on social media for the machines to give them free Wright State gear. Wright State University is celebrating its homecoming week. On Oct. 3-4, vending and claw machines were available for students in which they had to use a certain hashtag on social media for the machines to give them free Wright State gear. https://www.fairborndailyherald.com/wp-content/uploads/sites/50/2018/10/web1_wsuvending1.jpgWhitney Vickers | Greene County News Wright State University is celebrating its homecoming week. 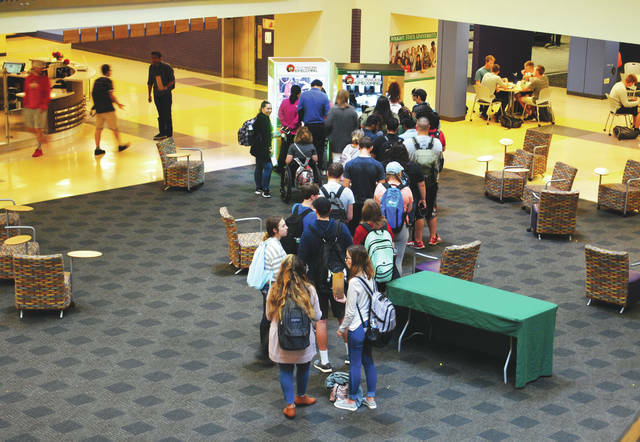 On Oct. 3-4, vending and claw machines were available for students in which they had to use a certain hashtag on social media for the machines to give them free Wright State gear. https://www.fairborndailyherald.com/wp-content/uploads/sites/50/2018/10/web1_wsuvending2.jpgWhitney Vickers | Greene County News Wright State University is celebrating its homecoming week. On Oct. 3-4, vending and claw machines were available for students in which they had to use a certain hashtag on social media for the machines to give them free Wright State gear. https://www.fairborndailyherald.com/wp-content/uploads/sites/50/2018/10/web1_wsuvending3.jpgWhitney Vickers | Greene County News Wright State University is celebrating its homecoming week. 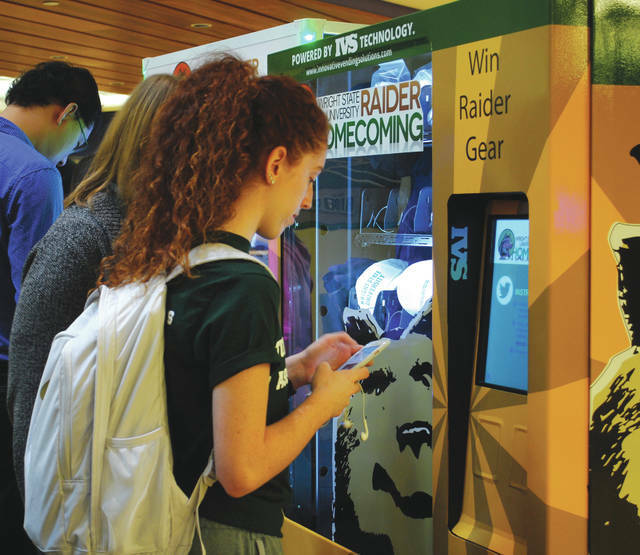 On Oct. 3-4, vending and claw machines were available for students in which they had to use a certain hashtag on social media for the machines to give them free Wright State gear.